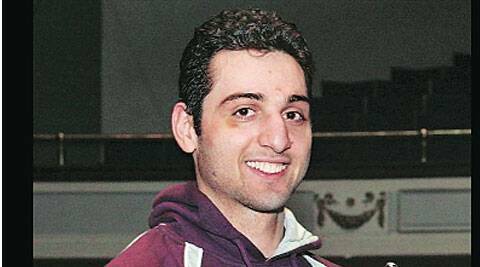 Russia told FBI in 2011 Tamerlan ‘followed radical Islam’. Tamerlan Tsarnaev was killed while eluding the police. THE Russian government declined to provide the FBI with information about one of the Boston Marathon bombing suspects that would most likely have led to more extensive scrutiny of him at least two years before the attack, according to an inspector general’s report. But after an initial investigation by the FBI, the Russians declined several requests for additional information about Tsarnaev, according to the report, a review of how intelligence and law enforcement agencies could have thwarted the bombing. At the time, American law enforcement officials believed that Tsarnaev posed a far greater threat to Russia. The new inspector general’s report found that it was only after the bombing occurred last April that the Russians shared with the FBI the additional intelligence, including information from a telephone conversation the Russian authorities had intercepted between Tsarnaev and his mother in which they discussed Islamic jihad. “They found that the Russians did not provide all the information that they had on him back then, and based on everything that was available the FBI did all that it could,” said a senior American official briefed on the review. Tsarnaev, who was killed attempting to elude the police, and his brother, Dzhokhar, are believed to be the sole suspects in the attack, which killed three people and injured more than 200 near the marathon’s finish line. The Justice Department said in January it would seek the death penalty against Dzhokhar Tsarnaev. Federal authorities have uncovered little evidence tying the brothers to an international terrorist organization. FBI agents who travelled to Dagestan, a region in Russia’s North Caucasus where Tamerlan Tsarnaev went in 2012 during a particularly violent period there, found nothing that showed he received training or encouragement from terrorists.